Capcom have become the latest publisher to donate towards the continuing relief efforts following the devastating events that hit Japan on Friday. Thanking fans for their support, the company is to immediately donate 100 million yen and, from March 15th, Street Fighter IV on iPhone will be available for 99 cents/ 115 yen with all proceeds going towards the relief fund. Thank you to everyone who has sent inquiries and wished us well during this crisis. We want to reiterate that all of our employees in the Osaka and Toyko regions are safe and well, and we thank everyone for their support. In response to recent events, Capcom will immediately donate 100 million yen to help victims of the earthquake and communities recover from this tragedy. 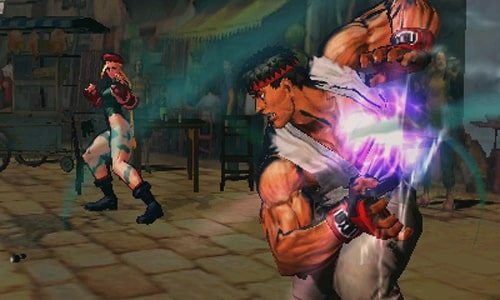 For one week from today, March 15, Street Fighter IV on iPhone will be available for 99 cents (115 yen), and all sales of the title during this period will be donated to support earthquake relief activities. Capcom will also suspend operations or shorten operating hours as necessary at amusement arcades and other business sites that are located in areas served by Tohoku Electric Power and Tokyo Electric Power. In addition, Capcom will refrain from holding special events. Again, thanks to everyone who has supported Japan during this difficult time, and please help to spread the news about relief efforts.